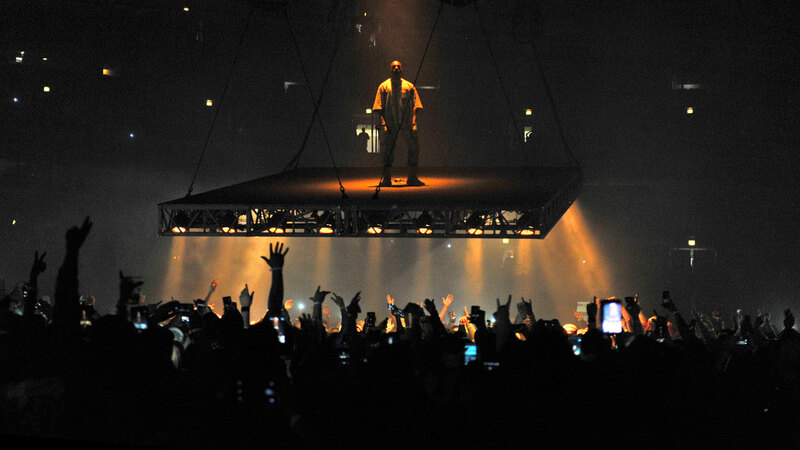 INGLEWOOD, California -- Kanye West, who has garnered attention for a recent onstage rant about President-elect Donald Trump, Jay Z and Beyonce, canceled his show at The Forum in Inglewood, California hours before it was set to begin Sunday evening, according to Ticketmaster. Ticketmaster posted that the "Kanye West: The Saint Pablo Tour" had been canceled at The Forum. The announcement came just hours before the concert was to get underway at 8 p.m. In recent days, West said he didn't vote in the presidential election, but if he had, he would have voted for Trump. Fan video showed West making the comments on stage at a concert in San Jose, California, on Thursday night. The announcement was mostly met with boos from the crowd. West told fans that "sometimes you might have to not get your way in order to really understand what to do in the future to be able to get your way." West then showed up more than an hour late to his concert Saturday evening in Sacramento, California, performed for about 30 minutes before abruptly ending the show, according to fans in attendance. ABC7 reached out to West's representatives for comment and has not yet heard back.